1) The procedure here is to perform a Quick Format to the memory card (any memory size) using the BlackVue Viewer Software. 2) You must format the new 64GB or 128GB memory using BlackVue viewer software before it can be recognised by BlackVue dashcams. 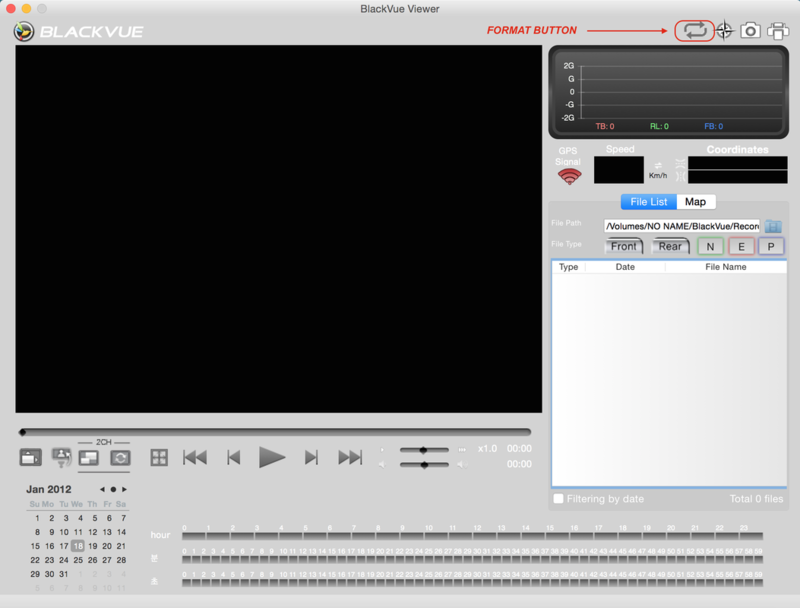 3) With BlackVue Viewer software, it will format the memory card to FAT32 format. 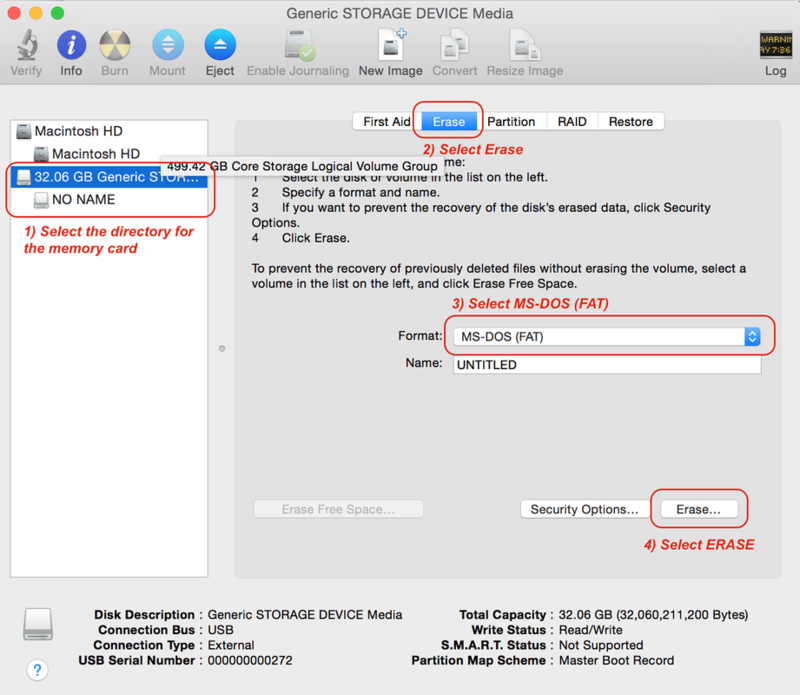 4) Please follow the procedure for Window OS or Mac OS accordingly. 5) Please back up your important files before formatting. 3) Double click on the software (for example BlackVueSetup(HD)_2.31.exe) for the installation. Skip to step 5). 4) Download the latest version of Viewer Software from our download page here. 5) Please follow the installation wizard to complete the installation to your PC. 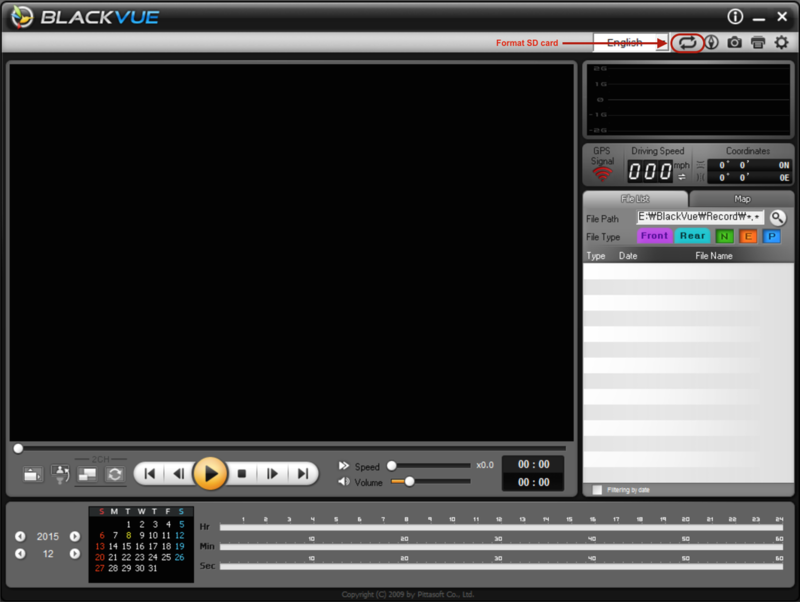 5) Run the software by clicking on the "BlackVue HD" icon. 7) Choose the directory of the memory card to be formatted. 1) Download the BlackVue Viewer Software for Mac from our download page here. 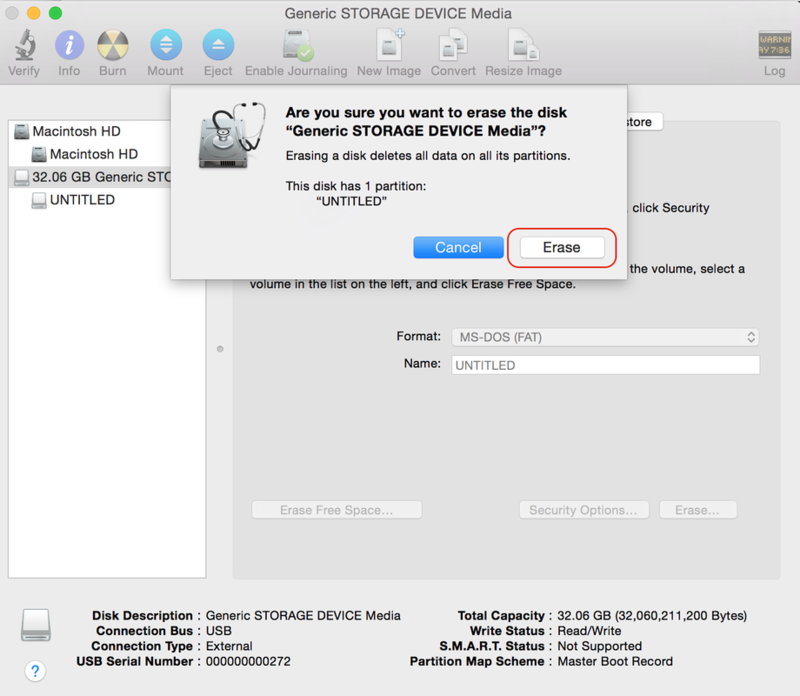 2) Install the software to your Mac. 3) Insert the memory card to your Mac. 4) Run the BlackVue Viewer software by clicking on the "BlackVue HD" icon. 5) Click on the Format button. ​7) Click on the ERASE to confirm the formatting process. 8) Upon completion, insert the blank formatted memory card to BlackVue and power ON.